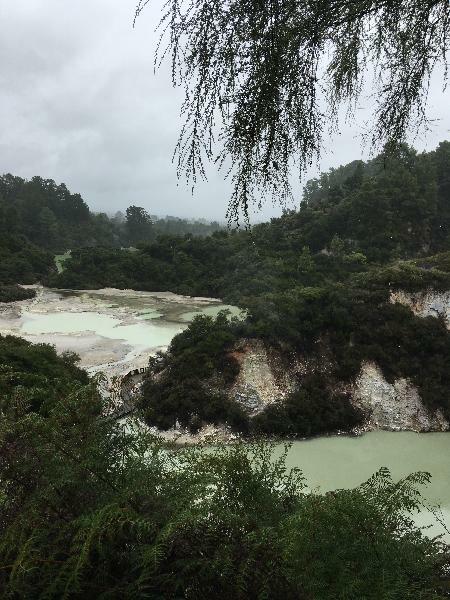 Fully guided tour of Rotorua city and its hot spots! 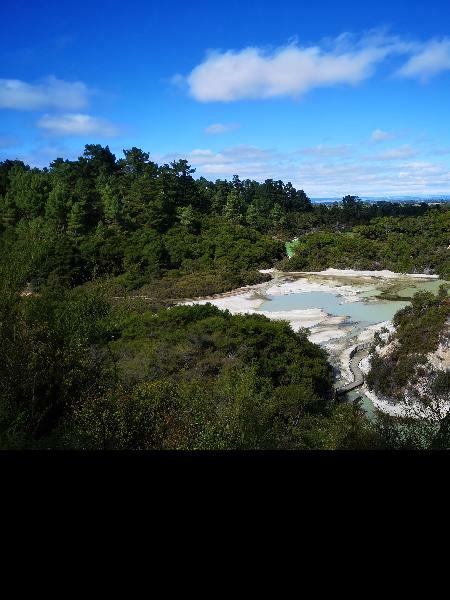 Prepare to explore geomthermal wonderland and all the iconic landmarks of Rotorua in just a day! Starting with a convenient pick-up, your driver guide will collect you in a comfortable mini-bus and journey through the amazing countryside of the Waikato region giving you a glimpse of majestic mountains and farm animals before passing through the unique town of Tirau (the corrugated iron sculpture capital of the world) and the stunning Fitzgerald Glade. 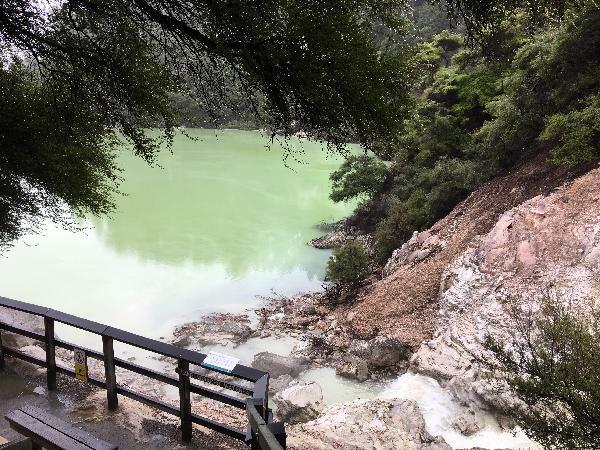 Once in Rotorua, enjoy an exciting fully guided tour of the city and its hot spots including Lake Rotorua, The Government Gardens, Blue Bath, Thermal Springs and Polynesian Spa, before heading to Eat street for lunch. We then visit what is considered one of the most surreal places on earth - Wai-O-Tapu Geothermal Wonderland. Here you will see Champagne lake, Devil's bath, local mud-pools, geothermal craters and other geothermal wonders. 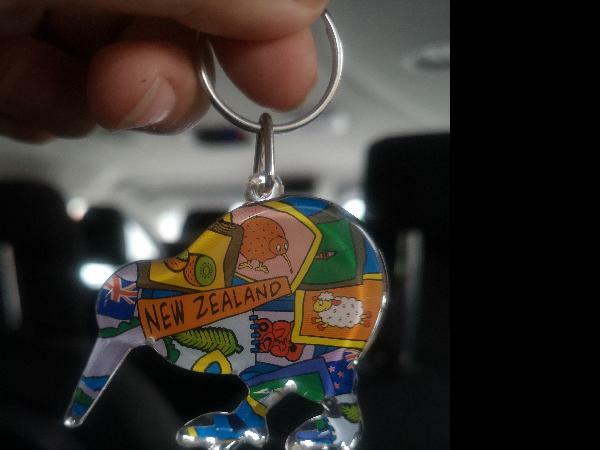 Finally, you can enjoy some discounted souvenir shopping in town before heading back north to Auckland, or you can choose to be dropped off in Rotorua instead. The tour was really cool, because we had many chances to see the Rotorua lakes. I also liked the people participating at the group and our bus driver was really friendly as well. All in all I really would recommend the tour, but in my opinion we should have spent more time at the lakes and maybe in Rotorua itself. Thank you for the amazing tour!! We had many options to choose. All were looking good at varied prices. We came across this tour and decided to go with it. We booked for Saturday 23rd Mar Tour operator asked to shift it to 24th as 23 Rd tour oprtation was not confirmed. We agreed. Our tour guide Richard was good. We had wonderful time. After a short in vehicle tour of Rotorua, we went to Wait O Taupo (an awesome wonderland). Our trip wouldn't be successful without waiotaupo visit. My parents and brother were very satisfied with trip. It was their first tour in NZ. Melissa was awesome. I would definitely recommend this tour to my friends n family. Must do while in NZ. Cieren was an awesome tour guide and knows heaps about the area. 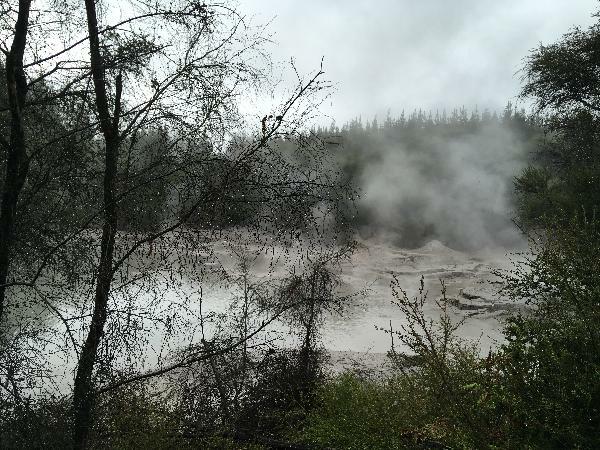 Your message has been sent to Rotorua Small Group Tour (including Wai-O-Tapu) from Auckland (Return Trip). You should hear from them shortly. Please note: all responses will come directly from Rotorua Small Group Tour (including Wai-O-Tapu) from Auckland (Return Trip), and not the team at Bookme.